Our most recent gardening experience has had a rocky start. First, a team was here from Canada and they helped us prepare our plot of land at our host church. We shoveled in real cow poop and gave it a good tilling. Another team came and helped us till a bit more, make rows and plant seeds. Then it got unseasonably cold again and then came some bird issues we think. Over half of our seeds didn't make it. then came the weeds. We were warned about the weeds as this happens when you use real cow poop. They took over faster than we could work. Then today, we got a tiller again and walked through the garden and hidden in among the weeds, were plants...the real deal. We shoveled them out and set them aside. Now, in another garden project when we first moved here...just a little family garden, I was digging out some weeds in our plot under Amie's Grandmother's supervision. I off the cuff-ily said, "Why is that seeds grow so easily and the good stuff takes so much work to grow?". Grandma looked up at me very slowly and seriously and smiled and said, "That'd be a good topic for you to do a Bible study on." She literally scared me. As we pulled these straglers out of the weeds, Jimmy said, "This is what we do!" God's heart is to find the good among the weeds, take us out, clear the weeds and replant us in a good, open place. We did it literally today. It is good work. It's filthy and feels so clean. I can hear my dead, gardening, Kentucky Grandfathers laughing at me as I learn as I go. My Father in Heaven is laughing right along with them. They know I'll get it someday. Ok, there's a Kyrgyz man (as in...from Kyrgyzstan) coming to stay with us here in Mo-town for about 4 weeks. He is John's friend Jengish and we met up with him while in Mexico?! ...he was in Ensenada dong his DTS. Well, happy for us, he could not get his visa to Peru to go with his team so he is joining us for the remainder of his outreach time. You've got to see his photography blog of images from Kyrgyzstan. I found a great way to make sure you're stuff isn't from a sweat shop...besides justiceclothing.com...have someone you know make you clothes! Diana made me 3 pairs of shorts and a pair of pants for my trip to Mexico. They're way comfy! This is Shelly eating one...we ate these a lot whilst in Mexico. Really, really GOOD! I'll probably write more about Mexico later as I process it more. It was a great trip. It was so many things coming together...my church and YWAM team (John and I) serving with another church's youth ministry...us as a group serving the YWAM team in Ensenada...we as a staff serving the high school students...the high school students learning and growing together...the YWAM team there ministering to us (one of the guys on our team became a Christian on this trip)...the donors that helped us raise the money to go...the little mexican church that embraced us and prayed for us...all working together to build a house for a single mom, abandoned and robbed by her husband. Her and her four kids were living in a dirt floor shack with nothing. We were able to raise enough to build the house, furnish it, stock the pantry and buy her oldest son a few months supply of epilepsy medicine. And while we built the house and played with her four kids, our translator on her spring break from Biola university spent the week with the mom explaining the gospel to her. On the last day, just before the key ceremony, with a local pastor and his wife there, this beautiful mom and her sister tearfully gave their lives to Christ. And it's not some big thing...like we did anything great. It was God doing the great thing. He cares about us. He cares about the YWAMers in Ensenada. He cares about high school students. He cares about my little church. He cares about big churches. He cares about Mexican churches. He cares about abandoned, single moms and their kids. So he will scheme and orchestrate to bring a bunch of weird groups together. It's His kingdom come, his will being done on earth as it is in heaven. It's what we pray for but one can only stand in awe when you get a glimpse of it because there's no way you could have pulled it off. Well, May has been quite the month (do I say that every month?). And it started out with a bang. Our friends John and Shelly Wason from YWAM in Vancouver came down with their kids to spend 10 days in ministry together. John performs one man plays where he dramatically presents entire books of the Bible. He brought "James" and "Philippians" to share at area churches along with other shorter dramatic pieces presenting life and faith creatively. We had a great time together with our old friends who we knew and worked with in YWAM in Ontario. It was great to be able to connect with local churches, youth groups and a school but perhaps my favorite performance of the week was when john performed some of his shorter pieces for a small group of kids that we have befriended in South Modesto. They sat wrapped in wonder as John moved and spoke in their little dirt yard declaring God's love, life and freedom. I don't know if they had ever seen anything quite like that before. 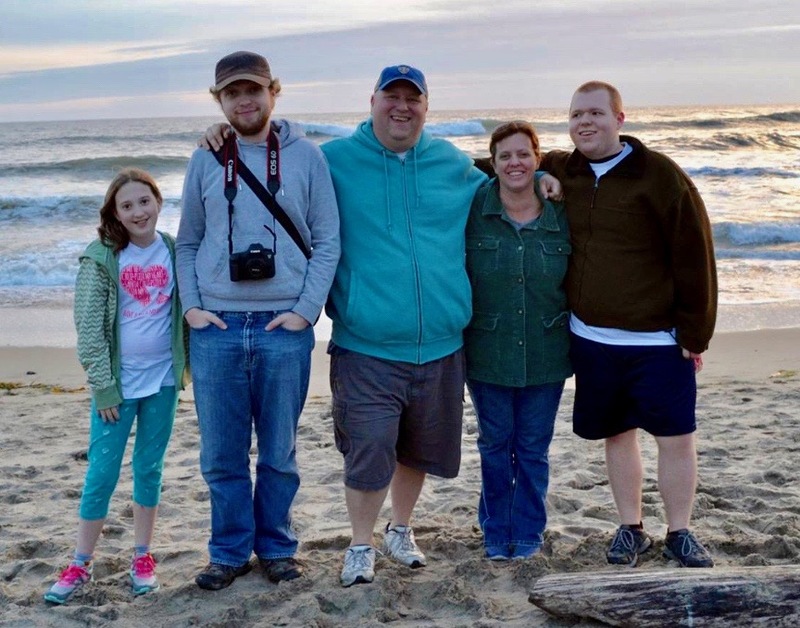 At the end of the Wason's time here, we had another team come in from YWAM Pismo Beach. This team of 17 came to reach out to our friends in the South 9th St. motels with a BBQ. They also spent time preparing our garden area to grow vegetables to share along side our weekly bread distribution this summer. We'll have about 50 tomato plants...with squash, cucumbers, egg plant, peppers, beans and more. Then after a week of our normal outreach schedule, I left for Winnipeg, MB up north of the border. I was invited to speak in YWAM's missionary training school there. I spent the whole week with the 6 students in their program training them on evangelism as they were preparing for their mission to Uganda (they are there now). We had an awesome time together. All that time, Amie has been faithfully educating the boys and managing our home. She is a very hard worker and such a wonderful support to me in all my craziness. She has also started up a small, children's dance class at our church. She has about 7 students from our church and the home school community. She hopes to resume dance training at our local junior collage this summer. Joshua is bigger than a mountain and is a great help to us and loves to read. Samuel is reading very well too and loves comic strips. Stella is up walking full time now and currently is very crabby because she caught some virus along life's way. Amie had also been caring for her Grandmother who fell and fractured her pelvic bone about 3 weeks ago. She's been in hospital and now in a convolesant home. Amie has been back and forth with all the errands and laundry, etc that come along with this kind of thing. Grandma will be released with a clean bill of health on Easter Sunday. She is 90 years old. Please pray for Amie's Grandma, Margret. Pray for my Dad, Al, who has come out of the nursing home in Owensboro to live in a house with his new nurse, my cousin, Denise. My Mother's sister, Anita recently died and her daughter and son have moved to help with my Dad's needs as he struggles with the effects of multiple strokes. Pray for our work here among the poor. For connections in the community, for our growing network of friends and co-laborers. Pray for the children we continually meet that suffer from the poor choices of short sighted, addicted parents. We need wisdom to serve these families the best that we can. "where two or three are gathered in my name..."
Last night, I had the great privilege of going, with some of our youth guys from church, to a meeting called simply “One”. This is a joint effort from our local youth ministries network. We have begun to, every now and then, get our groups together for an hour of worship through singing, reflection and prayer. No agenda...it is what it is. With Good Friday coming up, we pondered the cross of Christ together. Just before that, in the afternoon, I had the great privilege of gathering with a group of ten children at their south Modesto home. There are at least 5 families represented on this small property. This group used to live in the Shiva motel...that’s where we got to know them. They finally found a house but it is still not the greatest situation. Addiction, need, substandard conditions mixed with too many people in one house does not make for an easy childhood. A few months ago, a team came from Canada and helped us clean up the kid’s back yard so that they would have a place other than the small, dirt front yard to play. Yesterday, a lady in our church had given us Easter baskets for these kids with some simple toys in them. The boys got baseball bats so we all headed to the back yard for the most fun and most chaotic and probably the most “ignoring of the rules” baseball game I’ve ever been a part of. This Sunday, we celebrate the resurrection. I get the privilege of gathering with a Mexican church down in Ensenada this year as I’m leaving to help a youth group on a mission this Saturday. But I feel like I’ve already had my celebration. Some will celebrate Christ’s life in multi-million dollar facilities this week, some will gather in simpler structures, some will huddle in a cave for fear of being discovered, some will be in a house, some will be outside. Some will be decked out in their finest clothes, some will wear the only clothes they have. “From his temple, he heard my voice. My cry came before him into his ears” Ps 18. You owe it to yourself to rent “The Corporation”. I watched this film up in Canada and am still processing what I saw. Much of the movie is spent looking into the disconnect between the value of the people that work in corporations and the values of the corporation itself as it’s own entity. You may not agree with all of the film’s conclusions. You may not agree with the world view of all the commentators. It is over 2 hours but many compelling facts, scary scenarios and challenges for change. If you watch it, let me know what you think. If you are a Modesto local, you owe it to yourself to go eat at Minnie’s (downtown near five points...with the tiki statues outside). Now, since we found Thai food (thank you Kevin and Janet) I have kinda sworn off Chinese food but Amie and I went this past Thursday and it is awesome! With a menu that hasn’t changed in taste, quality or value in 50 years (this I’m going on hearsay...from our trusty church accountant, Marge). A $4 plate of fried rice...plate is the wrong word...heaping platter is better...could have fed Amie and I alone but we also ordered Kung Pao vegetables and deep fried asparagus. A great atmosphere and a friendly staff make for a wonderful chinese experience. You owe it to yourself to do nothing. I’ve been meditating on the way of the smoker lately and I think they have something. Now, I’m not advocating smoking but I can identify with being stressed out at my smoking friends during some work project cause they can justify taking more breaks than us nonsmokers. You know, you’ll all be working away and somebody says...”I’ll be back in a few, I’m going to step outside for a smoke.“ Why can’t we all step outside more often? Lately, I’ve been stepping outside for a breathe. A little fresh air and sunlight can do a lot to get you through. You owe it to yourself to turn off the TV more often. Today, I found myself channel surfing and I woke up to the fact that I was sitting in my room and had stopped on a Chris Doughtry music video! You know, the guy from American Idol...wow! That’s really quite a thing to come to terms with. Before it got too far, I turned the TV off, stepped outside for a breathe, sat on the front porch and picked up my long neglected C.S. lewis book, “That Hideous Strength”. I’m in the middle so don’t tell me what happens...I just read about when he sees “the head” for the first time...creepy and a great read. I’m glad I left Chris Doughtry and his ilk behind. Now lest I come off as a bit too much for my own good, let me just say that I am fully aware of much shortsightedness in my life. I waste time, I procrastinate, I sit idly, I tend toward laziness (my taxes! I haven’t done my taxes! ), I get sucked into silliness, I don’t live with great perspective, I despair, I give up. That’s probably a bit of my motivation to write. I’m writing to me. I need reminders to be more educated about my choices, to celebrate good local endeavors, to not be so busy and to stop wasting time. These things I hold in tension because we live in a corporate world, the multinational chain is homogenizing our communities, we are stressed to the brink of insanity and the media would love to eat up our soul. To actually rely on prayer and not our own understanding, to read the scripture and take it’s wisdom to heart, to involve ourselves with our family and neighbors, to live lovingly, selflessly. To let go of sin and self to bask in the good life that God offers. Lately, I’ve been saying that it feels like I get so crazy in my life that I just start to make the minimum payments...shoot up a quick prayer as I run out the door, glance at scripture or make a symbolic gesture toward my family and friends. But it’s not God I am shorting...it’s me. Everyday we have the choice and so much more than our personal peace rests on our decisions. Today, I want to live in love. I owe it to myself.